There are few foods as comforting as macaroni and cheese. For me, it evokes memories of special moments with family; whether it was a Thanksgiving at my grandparents' home, Soul Food Sundays at my aunt's house, or a random Wednesday night out at a chicken and waffle joint with my husband, macaroni and cheese was always on the table. And while I love the versatility that a pot of pasta, butter, milk, and cheese provides (lobster and bacon are favorite additions), the simplicity of a humble bowl of macaroni and cheese, sans the gourmet treatment, is often the best part of a meal. This recipe is completely unfussy--just a quick cheese sauce that is so incredibly creamy, you may want to serve it straight out of the pot (that's how my daughter likes it best) and a crunchy breadcrumb topping. Simple, and so good. Preheat oven to 400°. 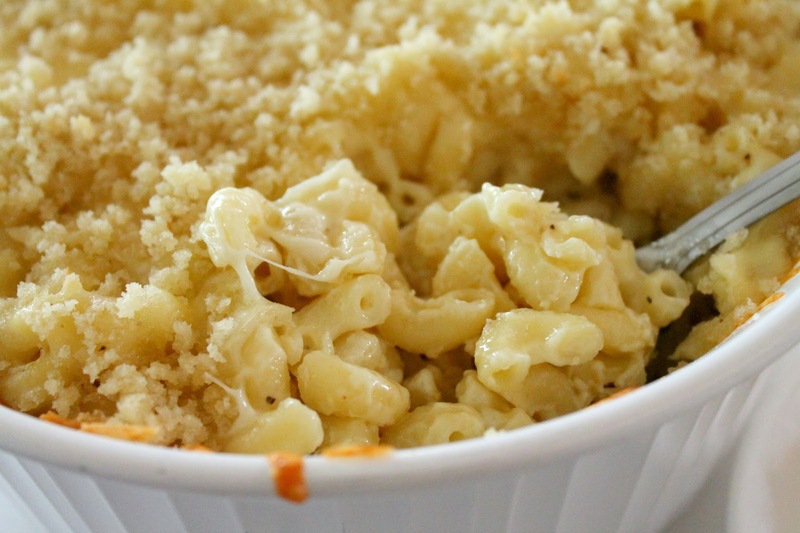 Cook macaroni according to package directions, drain, and set aside but keep it warm. While the pasta is cooking, melt butter in a large pot over medium heat, then whisk in flour. Whisk until it's smooth, then cook for another minute. Add milk and cream, and whisk until it gets bubbly, then add the cheese and reduce the heat to low. Stir until the cheese is melted and the sauce is creamy. Salt and pepper to taste. Add the cooked pasta and stir until it's well combined. 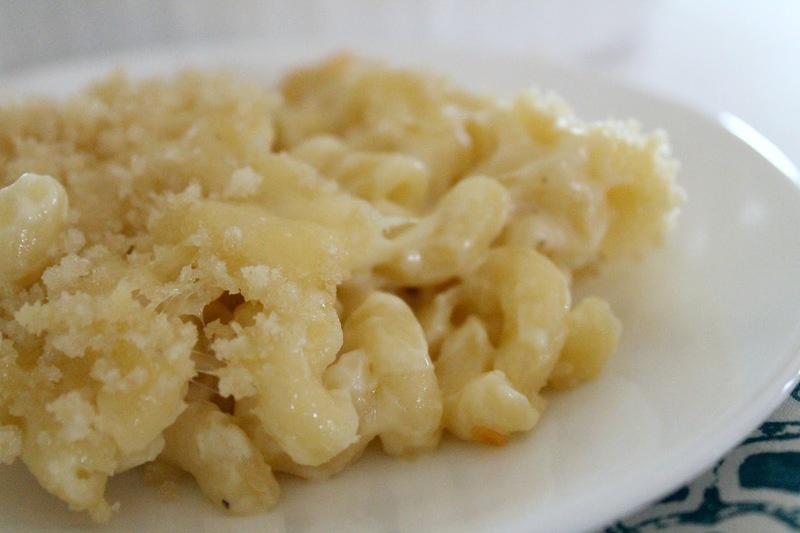 Spread evenly in a casserole dish. 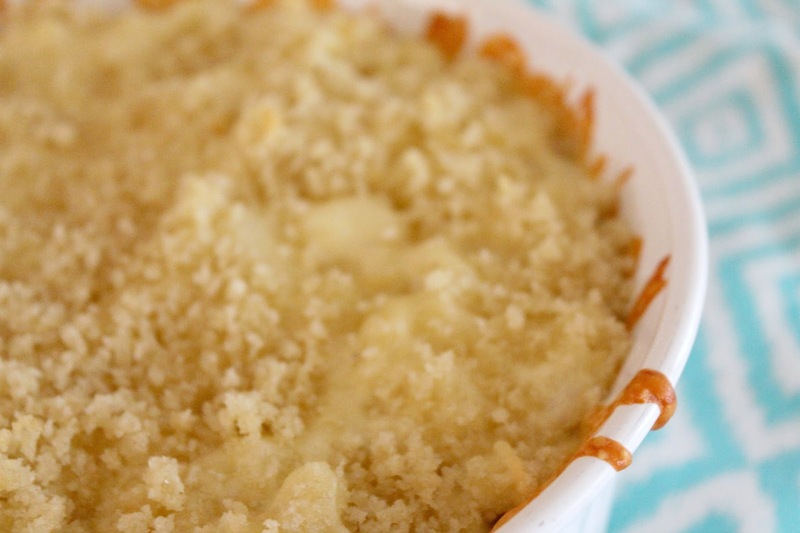 For the topping, melt the butter and mix in the bread crumbs. 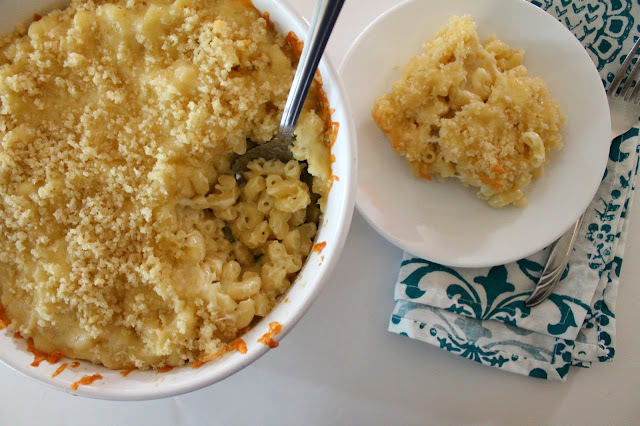 Sprinkle buttered crumbs over the macaroni and cheese and bake for 20 minutes. Eat and be comforted! Now you know Mac N Cheese is my fav!!! This looks very tasty. I don't think I've ever had your Mac. Can't wait for a dinner date with you as the chef! I know; I actually thought of you as I wrote this post. I'm happy to make some for you and Wes! Thank you so much for your comments! I always enjoy reading them. the savvy girl's guide to life copyright 2013. Powered by Blogger.